It never occurred to me I could be an author. Even though I was a journalist for decades, I just assumed I wasn’t good enough to be in that mystical creative writers’ club. Then one day a fanfiction I wrote was discovered by my publisher, who liked it so much she asked me to write her a book. Now, I realize the odds of this happening are insane. So, what do you do if you’re not tapped on the shoulder? 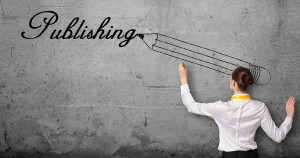 How can you get published? Here are some tips on how to make the leap. Read everything. And not just other fanfiction. Read published books in the genre you want to write in. Why reading? Your vocabulary will improve and you’re less likely to copy other fanfic writers’ mistakes. You’ll also get to know the standard of published books and what’s required of you. Seeing the gap between your writing and a professional’s can be disheartening. Try not to compare yourself to the best writer you’ve ever read. There’s a spectrum. Remember that even the best authors had dodgy starts, and they had moments of thinking they were no good too. Finding time to write is hard with work, life, and family. But even scribbling for an hour a week will help you hone your skills and keep your writing brain sharper. Fanfiction is a great sandbox for novices. You get instant feedback while you work out any issues and ideas. You can learn which story tropes are most popular, what you like writing, or even challenge yourself with controversial concepts. While you’re at it, try and avoid the most common mistakes lesfic writers of all stripes make. If you’ve only been writing shorter stories, create works that get longer and longer to see whether you can keep your fanfic plot humming while still maintaining readers’ interest. It’s tempting to rush and make it end when you’re sick of it. Train yourself to land that story as evenly and well as you started it. A beta reader is someone who’ll read drafts of your stories before you post them and point out any issues. Some betas sprinkle glitter dust and say how perfect your every word is. A useful beta will tell you, in a nice way, where your story lost their interest, plot holes, and other basic errors. Was the story hard to follow? Are you head-hopping with characters in the same scene? The latter is a big one to squelch unless it’s a plot point. If you change only one thing with your writing, this is THE most important. See Head-Hopping Gives Readers Whiplash for more. In sum, useful beta feedback is gold. If you can’t find a good beta, and social media isn’t answering your pleas, if someone is leaving insightful reviews on your fanfic, ask them if they’ll be your beta. This is the most useful thing you can do to get a leg up. Get on social media, follow the authors and publishers you like, maybe join Facebook reading/reviewing groups, such as the Lesbian Review Book Club or the Lesfic Reading Group. With your social media feeds humming, you’ll see authors’ blogs, writing discussions, alerts for upcoming short-story contests, online writing challenges, and publishers calling for submissions for anthologies. Engage with anyone and everyone. As an added bonus, getting connected means you’ll also pick up the fiction-writing lingo, which is handy later. That’s great. Hopefully you’ll have a novel-length (60,000 –100,000 words) story written, that your beta readers have given the thumbs up to, without basic spelling or grammatical errors. If your story was based on a fanfic, you’ll have tweaked it so it now reads like an original work, not just a story with character names changed. You can choose to self-publish it on Amazon, and hope you can cut through the thousands of others to become the next E.L. James. Or you can try a publishing house, which has many ways to get new authors noticed, in-house editing and artists, as well as fans lined up for their next release. 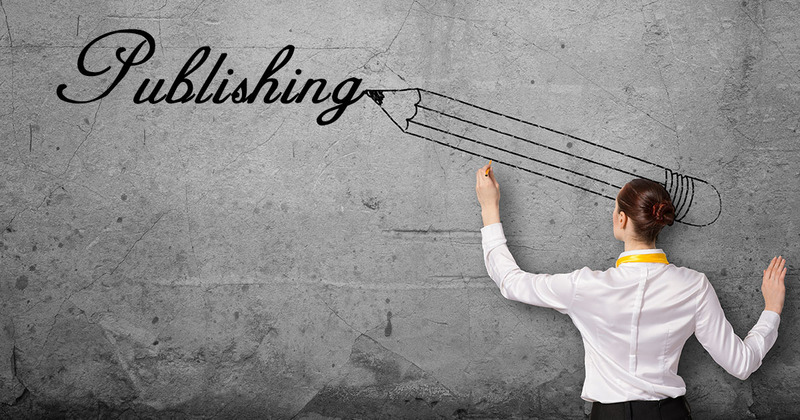 If you opt to go for a publisher, discover which houses sell books similar to the one you’ve written. Read their books. Explore their websites. Do they accept unsolicited manuscripts? What are they looking for? How do they expect submissions? For example, here are Ylva’s rules for manuscript submissions. Whatever you do, stick exactly to the guidelines. Publishers may see those who ignore their rules as a sign of a difficult author—one who won’t take direction. If they say they’ll get back to you in a month, don’t email every third day for updates. If they ask for a Word doc, don’t send a PDF. And an erotica publisher probably won’t bother replying if you assume they’ll make an exception for your children’s book. If you’ve made a submission and been knocked back, take heart. We all know the J.K. Rowling story of rejections. Learn, correct your weaknesses, connect online, and keep going. Above all, keep writing. Keep reading. Keep entering contests and submitting to anthologies and every other story opportunity that comes your way. The result is you will keep improving. And the next time you submit a story, it might well be a yes. Lee Winter is an award-winning veteran newspaper journalist who has covered courts, crime, news, features and humor writing. Now a full-time author and part-time editor, Lee is also a two-time Lambda Literary Award finalist and a double Golden Crown Literary Award winner. She has just published the superheroine novel Shattered with Ylva. I have often wished for this publisher to find my fanfics, as they have others. While I wait, I keep writing. And when my original fiction is done, I’ll be sending it to Ylva with fingers crossed. Thank you for sharing your time and skill. I am a new fan with The Red Files.